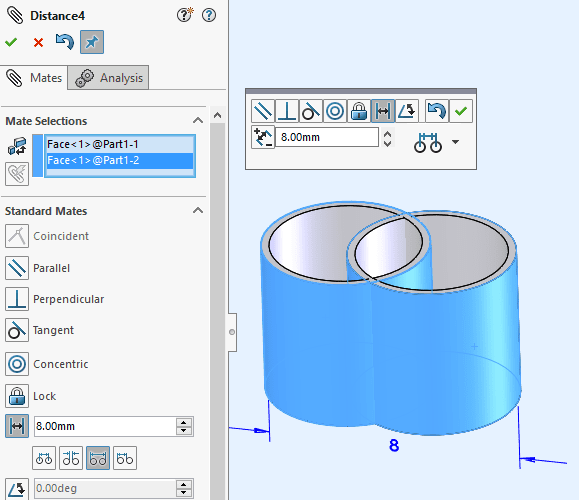 New to SOLIDWORKS 2017 there is a new way to add a distance mate between two cylindrical components. 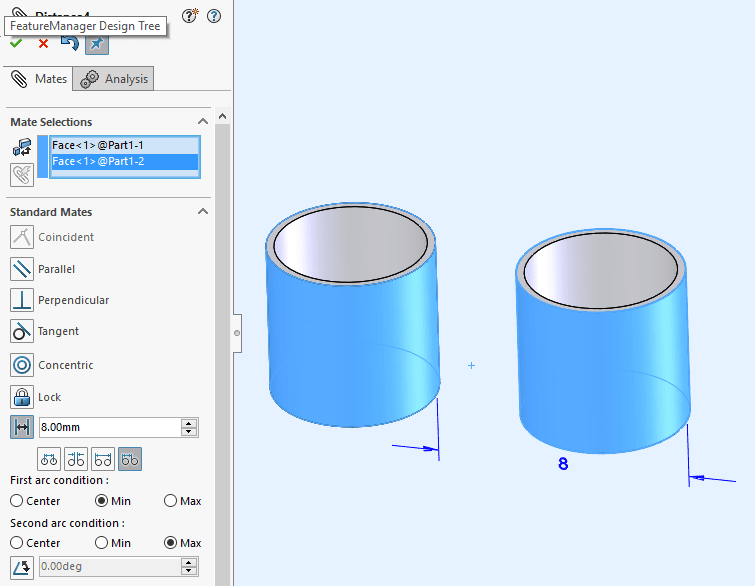 These new options appear when you add a distance mate between a cylindrical face and an axis, edge, line, vertex, or point. 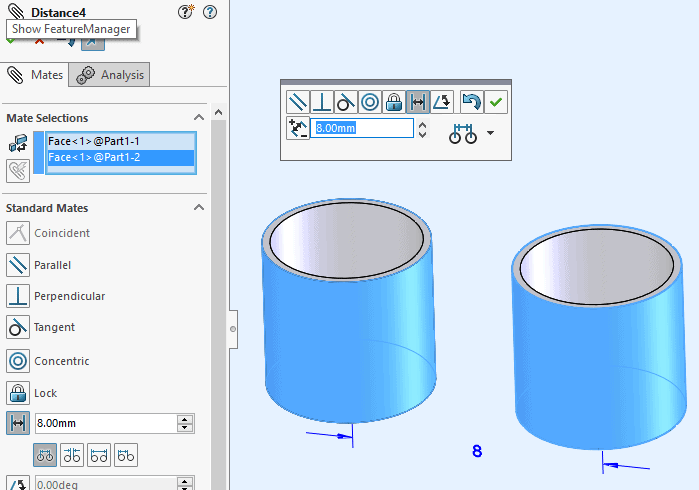 Prior to SOLIDWORKS 2017 the distance was applied at the minimum distance between the cylinders with no other options. Now we can place four different types; center to center, minimum distance, maximum distance, custom distance. Applies the distance between both cylindrical axes. 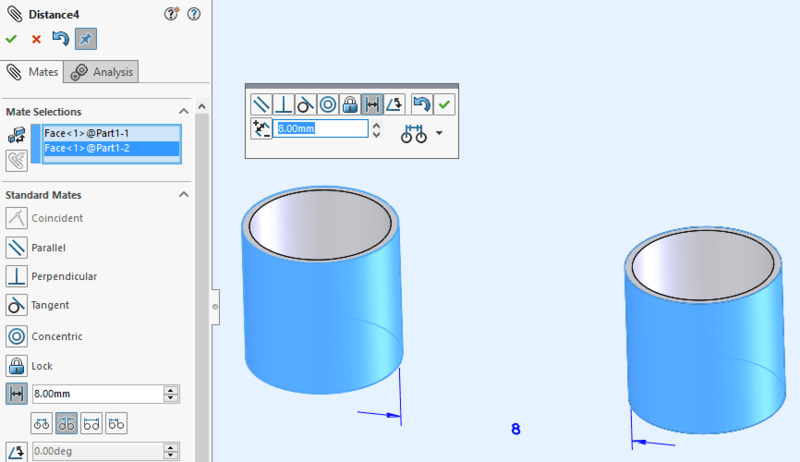 Applies the distance to where the cylinders are at their closest point to each other. Applies the distance where the cylinders are farthest away from each other. However, the distance option is not available if the distance is less than the sum of the radii of both cylinders. Applies the distance to any combination of conditions you select. You can choose from center, minimum, or maximum condition.